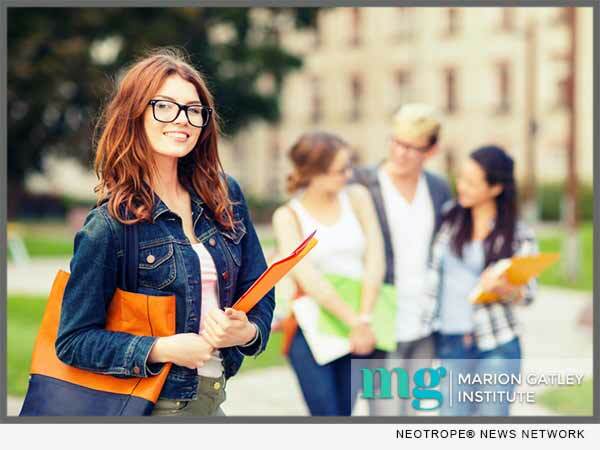 LOS ANGELES, Calif. /California Newswire/ — Marion Gatley Institute has just opened to provide services and classes for people that want to learn another language, but haven’t been able to do so prior. We provide a flexible class schedule in which can bend to your personal life and daily obligations. Offering instruction on many languages from Mandarin to Italian, from Portuguese to Arabic. Whatever reason you’d like to learn another language, it is undeniably helpful in many ways. Strengthening cognitive ability, memory, deductive reasoning, learning a new language is a vast well of mental and personal benefits. It can help boost confidence, and strengthen your skills in English. There is simply no downside to learning a language, and now Marion Gatley Institute is able to offer a plethora of classes that facilitate your endeavors. Classes are built and designed around our students, and our small sizes allow us to focus on each student individually while cultivating much-needed conversation and practice back-and-forth between students. The benefits of attending classes in person and speaking, responding, and practicing with others is invaluable. You will learn the language must faster if you are constantly tested in conversation and prompted to write in the language you are learning. Marion Gatley Institute is special because we host classes at all times of day. Whether your work schedule demands that you attend classes at night, or if night classes at a college have you pursuing a language during the day, you will be able to find the class you need at the time that works for you. Discovering a new culture, perspective, and customs through language will only benefit you in the long-run. If you are on the fence about whether or not to take the plunge and learn a language, it doesn’t need to be excruciating work. On the contrary, learning another language is extremely fun and fulfilling. Marion Gatley Institute offers a variety of locations in order to make it simple for you to come to learn a language where it is convenient for you. You will not have to travel far and take time out of your busy life, Marion Gatley makes it easy for all of our clients in every way we can. We also accommodate to a changing schedule. You can attend any of our schedule classes for the language you wish to learn so you don’t have to worry about a consistent class. This also takes out the routine of classes and makes the act of learning a new language enjoyable and without stress. The door is now open to you, come learn at language in the helpful classes of our linguist instructors. We are accessible, reasonably priced, and extremely well-versed in teaching people the joy of learning a new language! Visit https://www.mariongatleyinstitute.org/ for more information.